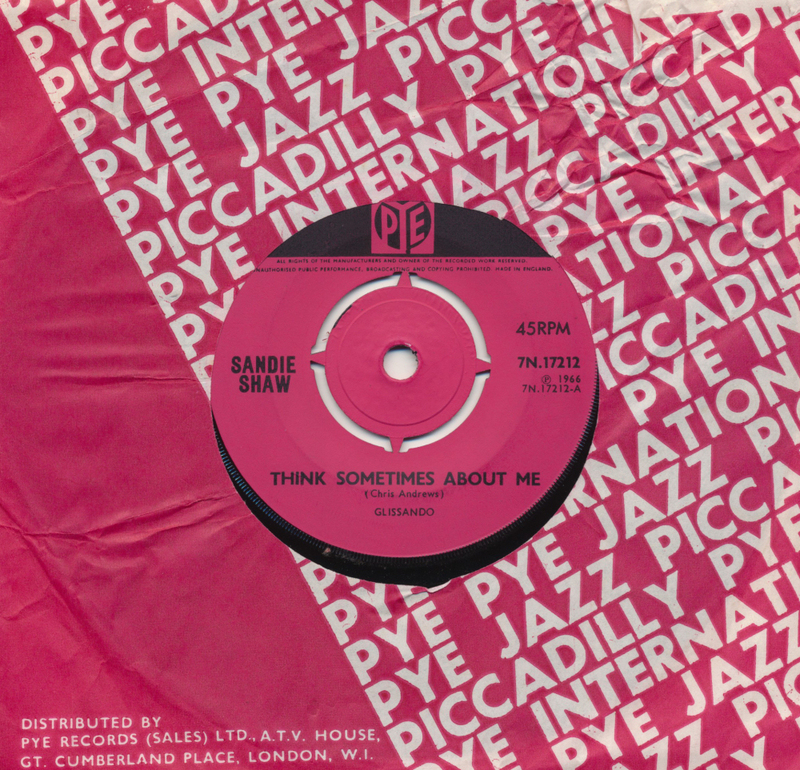 'Think sometimes about me' was released in November 1966, just months before the singer would become a Eurovision icon with 'Puppet on a string'. This single would end up on the album named after that Eurovision hit. What's interesting (for me anyway) is not so much the A side of this single, but the B side: 'Hide all emotion' was written by Marty Wilde. Hence, I had to have this single. 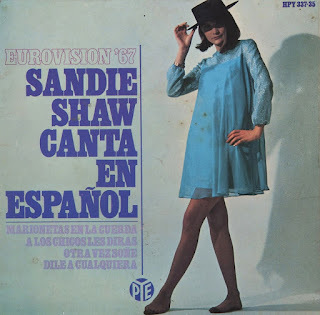 After winning the 1967 Eurovision Song Contest with 'Puppet on a string', Sandie Shaw recorded many of her tracks in Spanish, her record company probably smelling success in that region. This EP features four tracks in Spanish, and is surprisingly titled 'Sandie Shaw canta en español'. The title was borrowed for a 2004 CD release, which features all of her Spanish language recordings. An astounding amount: 25 tracks. Although I already had a copy of Sandie Shaw's Puppet on a string, I thought this German copy would be a worthwhile addition for its colourful sleeve. The different B-side is just a bonus, of course. 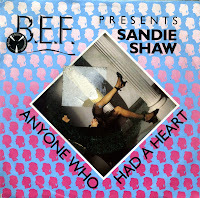 'Anyone who had a heart' was written by Burt Bacharach and Hal David and originally performed by Dionne Warwick in 1963. Outside of America, the song is better known in a version by Cilla Black, released in 1964 and a number 1 hit for her in the UK. Black later commented: 'Dionne was dead choked, and she's never forgiven me, to this day'. 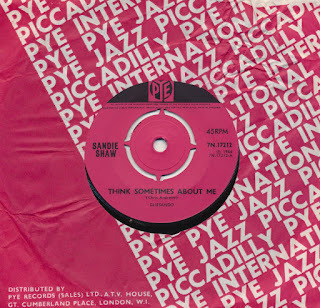 Sandie Shaw was one of the few British girl singers who did not cover the song in the Sixties. In 1982, she was introduced to the British Electric Foundation by future husband Nik Powell. The B.E.F. (Martyn Ware and Ian Craig Marsh, who would go on to form Heaven 17 with Glenn Gregory) asked Shaw to record a song for their album 'Music of Quality and Distinction Volume 1', on which they intended people to cover old songs and give them an updated electronic sound. Shaw was particularly proud of her emotional vocals on the song, which was subsequently released as a single. This proved to be the beginning of her 1980s comeback. 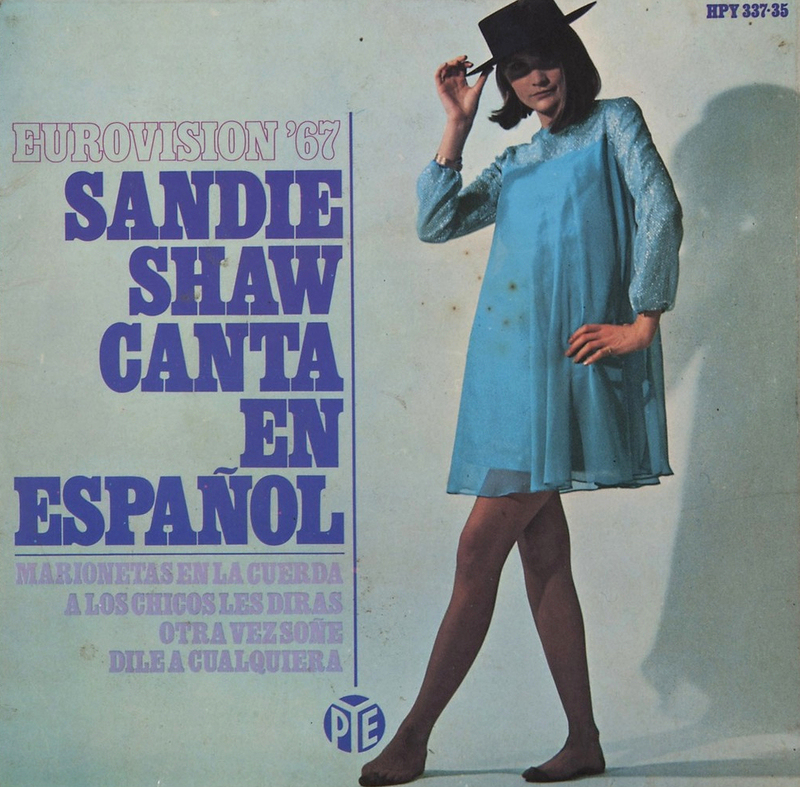 Sandie Shaw represented the United Kingdom during the Eurovision Song Contest in 1967. With the song 'Puppet on a string' she managed to win the Contest, despite the fact that Shaw herself hated the song from beginning to end. She recorded several versions of the song that year, amongst others in German, Spanish and this one, in French. The French EP features four songs in French, all of which were originally recorded in English. 'J'ai rêvé de lui' was originally 'Had a dream last night', 'Prends la vie du bon coté' was 'Tell the boys' and 'Tout est changé' was 'I don't think you want me anymore'. 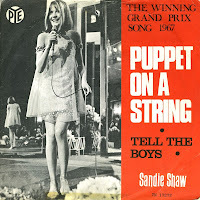 Sandie Shaw won the 1967 Eurovision Song Contest with 'Puppet on a string'. It subsequently spent three weeks at the top of the UK singles chart. On the national final on UK television, Shaw performed five songs, of which one would be selected to represent the UK. Shaw was very disappointed when this song was chosen. 'I hated it from the very first oompah to the final bang on the big bass drum. I was instinctively repelled by its sexist drivel and cuckoo-clock tune.' Despite all this, she won the Eurovision Song Contest convincingly, although she put it down to her existing popularity on the European continent. When I bought this single, two versions were staring at me from the shelf. I chose this one, because of the sleeve that contains a photograph from the actual Song Contest performance.